Facebook has tweaked and rebranded its business offering, going head-to-head with enterprise software tools such as Microsoft's Yammer and Slack. Workplace by Facebook: just a digital water cooler? 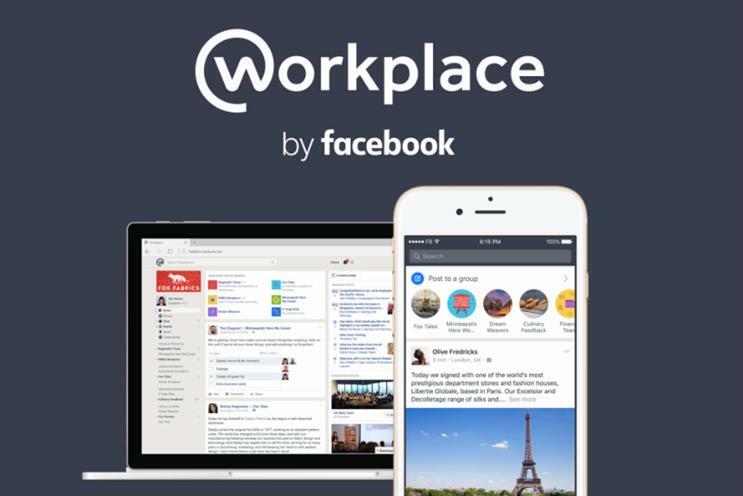 Workplace by Facebook was previously known as Facebook at Work, and is now open to any company. It is priced based on who is using the product, rather than using the group licensing model common to business software. It starts from $3 per active user. The tool looks similar to consumer-facing Facebook, with the basic structure of the News Feed, chat, likes, live video, search and trending posts. Additional features include analytics and security functions that allow organisations to integrate the software into their existing IT setup. There are also groups that allow employees of different companies to talk to each other. Facebook has been testing the software for more than a year, with more than 1,000 organisations using the tool. It is particularly popular in India, as well as the UK, US, Norway and France. Analysts noted that Facebook might have the issue of being a "digital water cooler". "The trend in the collaboration market is not a history of great adoption," Forrester analyst Craig Le Clair told the Financial Times. "A lot of systems have been put in in the last four or five years and adoption falls off after a while. "The reason is knowledge dissemination wasn’t embedded well enough, it wasn’t helping people get work done, it was about Game of Thrones chat, more of a digital water cooler." Le Clair added that one option could be to buy a popular rival such as Slack or Hipchat.